Equality for women isn’t a women’s issue. When women fulfill their potential, everyone benefits. 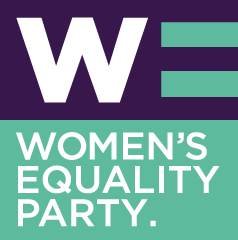 Equality means better politics, a more vibrant economy, a workforce that draws on the talents of the whole population and a society at ease with itself. Although women make up 51 per cent of the population, only 30 per cent of MPs, 25 per cent of judges and 21 per cent of FTSE 100 company directors are female. Women still occupy the lowest-paid jobs. At the current rate it will be 70 years before the gender pay gap – currently almost 16 per cent – eventually closes. Around 1.2 million women suffer domestic abuse a year and over 330,000 women are sexually assaulted. Conviction rates are low. Although at school girls outperform boys in every mainstream GCSE subject other than Maths, and young women make up 57 per cent of first degree university graduates, somewhere along their career path, women fall behind. An average woman working full-time from 18 to 59 will earn £361,000 less over her working life than an equivalent man. Over the years some progress has been made. In 1983 just three per cent of MPs were women. The proportion of women on boards has risen from just 12.5 per cent to 23.5 per cent in four short years. More men view themselves as equal partners in the task of balancing work and family. But we need to up the pace of change. We need to seize every opportunity – at home, at work or in the media – to make the case for equality. For that case is a powerful one. Big business is leading the way with its recognition that greater diversity at the top of organisations improves the working environment, boosts productivity, creates efficiency savings and improves brand reputation. Helping more women into the workplace – by offering flexible working and support with childcare – would also generate huge economic benefits for the country. Unleashing women’s full potential could add 10 per cent, or over £150 billion, to our GDP by 2030 if all the women that wanted to work did so. Closing the gender pay gap would increase revenue from income tax and national insurance while reducing payments in tax credits. It would also boost women’s spending power across the wider economy. Our schools and universities would not only keep girls on the path to academic success, but play a significant role in challenging gender stereotypes – not least on the subjects they take – and in shaping the values and attitudes of all young people. While we need the authorities to support victims of violence in rebuilding their lives, report crimes and make sure perpetrators are brought to justice, education could also help make sure it doesn’t happen in the first place. So the WE web site is now launched. Their logo is designed. You can now become a founding member. Branches are being set up all over the UK. Policy groups are hammering out ideas. Exciting times!